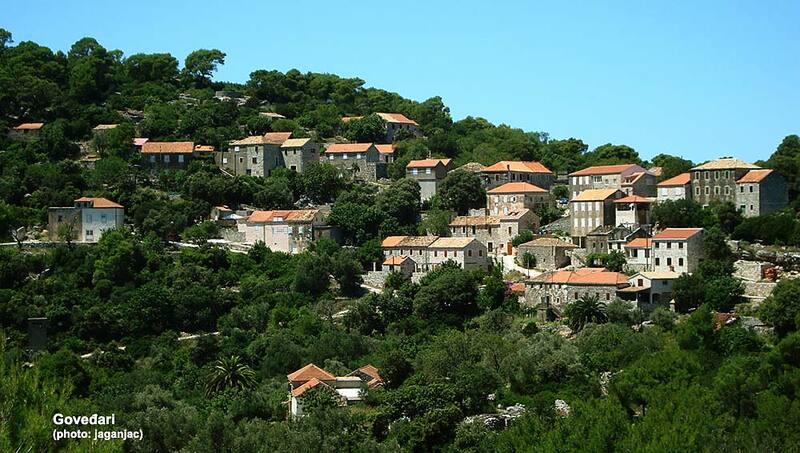 Govedari is a hilly village on Island of Mljet that has just under two hundred permanent residents. The village dates from the beginning of 18th century when first people started to settle at the location, building their houses and shelters. The village of Govedari is located in the interior of the island of Mljet, just above Veliko Jezero, 5 kilometres from the sea. It is a part of Mljet National Park. Due to its location in the fertile area, Goveđari has traditionally been known for agriculture, although nowadays people are happy to rent rooms and offer some b&b services. The village is connected by road to Pomena, Polace and the Veliko Jezero in Mljet National Park. This is a nice place to visit for good walks at fresh air and great views over surrounding hills, Mljet coastline, vineyards and olive groves.